Vertical 0.3mm (.012") pitch ZIF type connector. 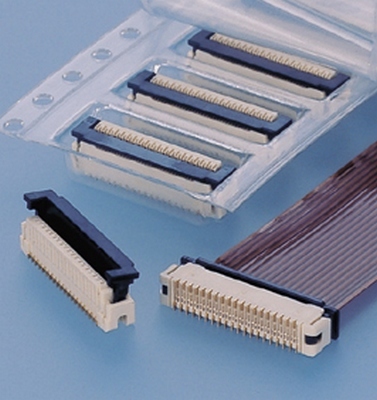 This connector was mainly developed to connect FPC and subminiature digital products such as DVC, DSC, PDAs and so on. 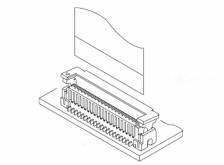 0.3mm (.012") pitch ZIF type connector for FPC realizes space saving for mounting area. 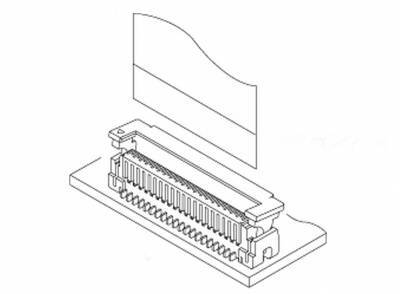 In general flip-lock structure in side entry type, lock might be released during routing of FPC, thus slider structure suitable for vertical ZIF type connector has been adopted.